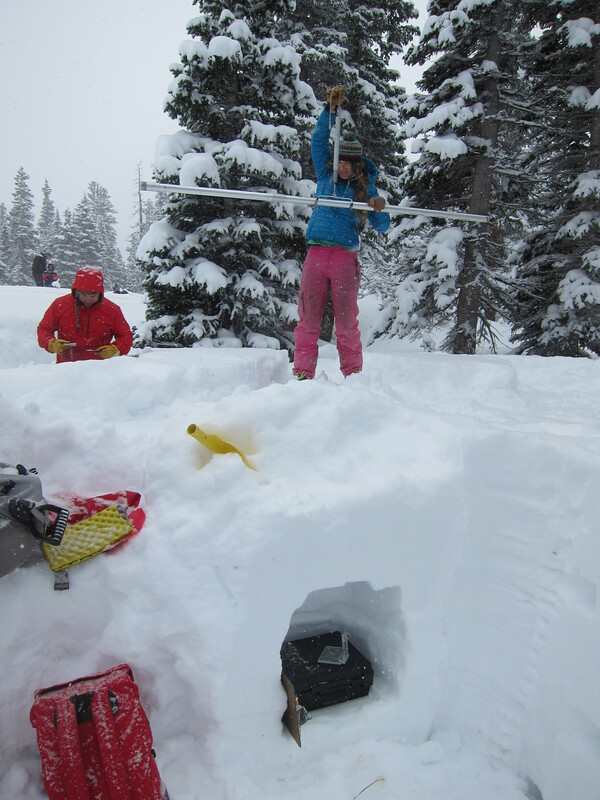 Evaluating snow properties in the mountains after a heavy winter storm. As part of UHPSI’s larger hydrological research program and community outreach programming, Megan Brakeley and Charlie Bettigole will spearhead a short series of snow science lessons at the Clearmont Elementary and the Arvada-Clearmont Junior High Schools during March of 2014. The two will work with local educators to develop lesson plans for students in several grades. In moving from classroom to field, they will guide students in measuring and mapping the extent of snow coverage at several spatial scales, in quantifying snow characteristics such as density and snow-water equivalence using transects, and in considering how snow pack in the mountains influences ground and surface water resources during the warm season. Students will gain exposure to Geographic Information Systems, GPS technology, snow science techniques and measurement equipment, and gain a broader understanding of how winter conditions drive the natural world at their own homes. In preparation for their trip to Wyoming, Megan led the production of a short video (below) to introduce herself and Charlie, and to introduce the basic material that would be covered during their time at the school. 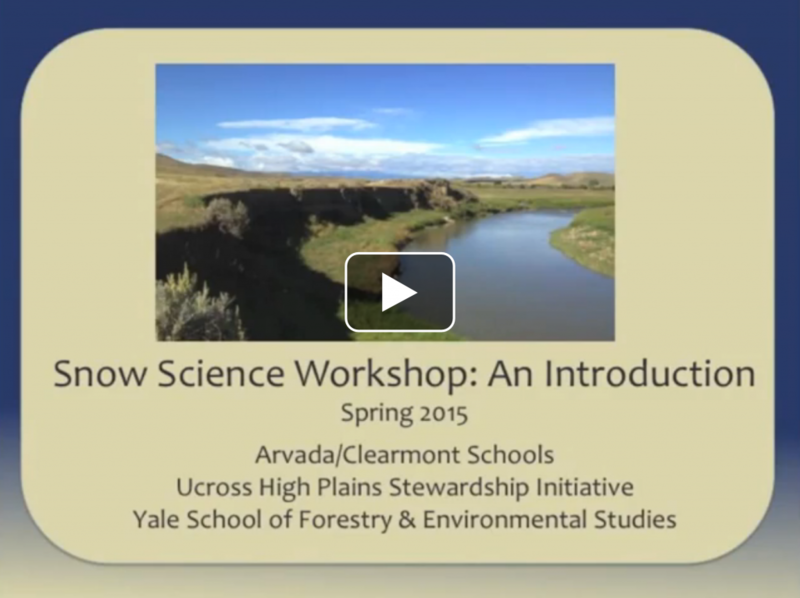 After the workshop has been held, we’ll add addition information here or on our news feed.